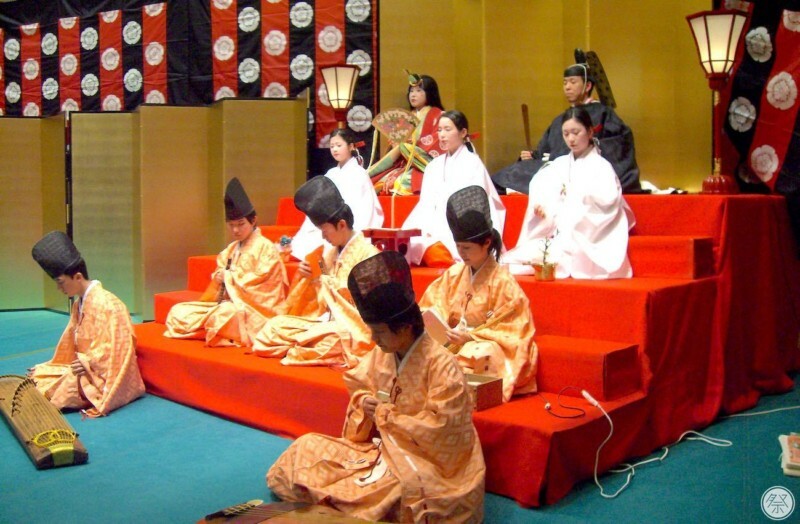 March 3rd is the national holiday known as Hiina Matsuri, where prayers are made for the healthy growth and happiness of daughters every where. Every one of the deities depicted at Ichihime Shrine are female. Hiina doll displays line the shrine office of Ichihime Shrine to celebrate the festival. Close by, at the Kyoto Center for Community Collaboration (Hitomachi Koryukan Kyoto), the Hiina dolls on full display are not dolls at all. 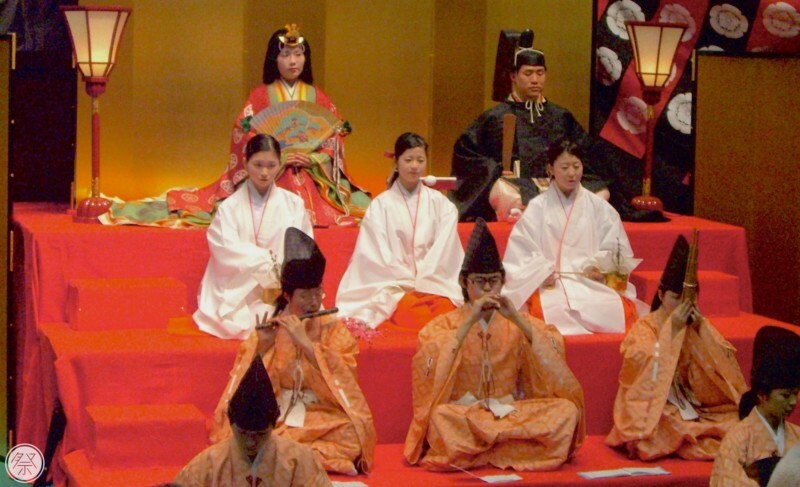 They are humans dressed as what locals call "Hito Hiina," or "People Hiina." 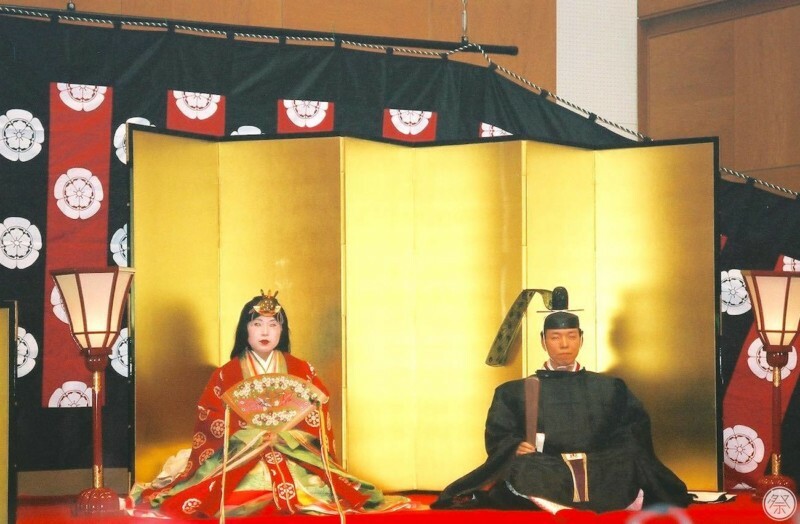 Visitors can watch demonstrations of how to put on traditional garments known as Junihitoe (kimono-like 12 layered set of clothes), performances of Gagaku court music known as Gonin Hayashi (five women play flutes and other instruments) accompanied by a dance by three shrine maidens, and many luxurious games of royal families during the Heian period such as Kai-awase ("Shell Matching": a game where patterns on the outside of sea shells are matched together). 1．Check out the locals become living Hiina dolls! 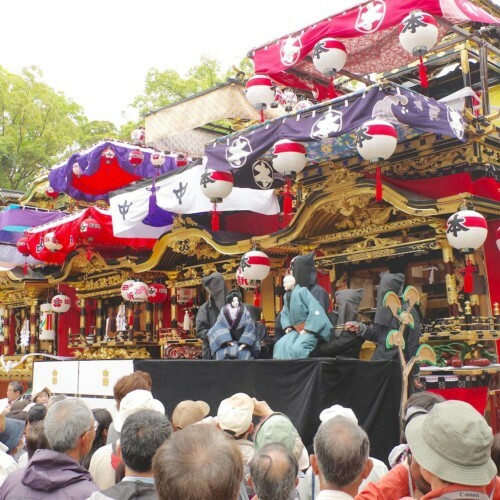 Near the Ichihime Shrine, the Hitomachi Koryukan (Kyoto Center for Community Collaboration) hosts the Hitohiina display where people become living versions of the doll. There is a 2,000yen entrance fee at the door. 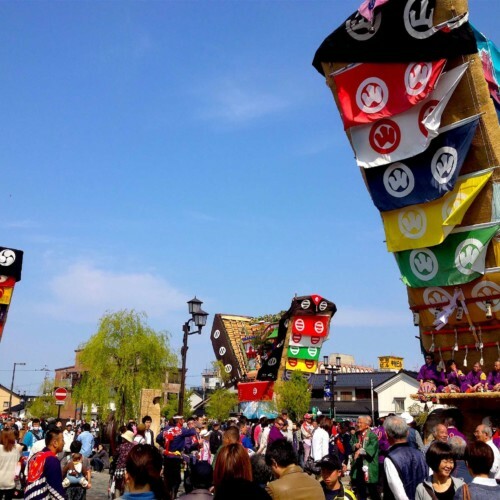 As a visitor you will receive Maccha (powdered green tea), the common Hiina Matsuri snack known as Hichigiri, and a good luck charm known as Momokazashi Mamori. 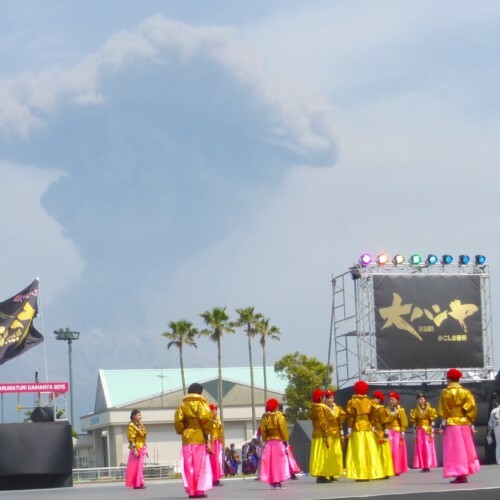 The Hitohiina starts from 1:00pm and is generally on full display by around 3:00pm. 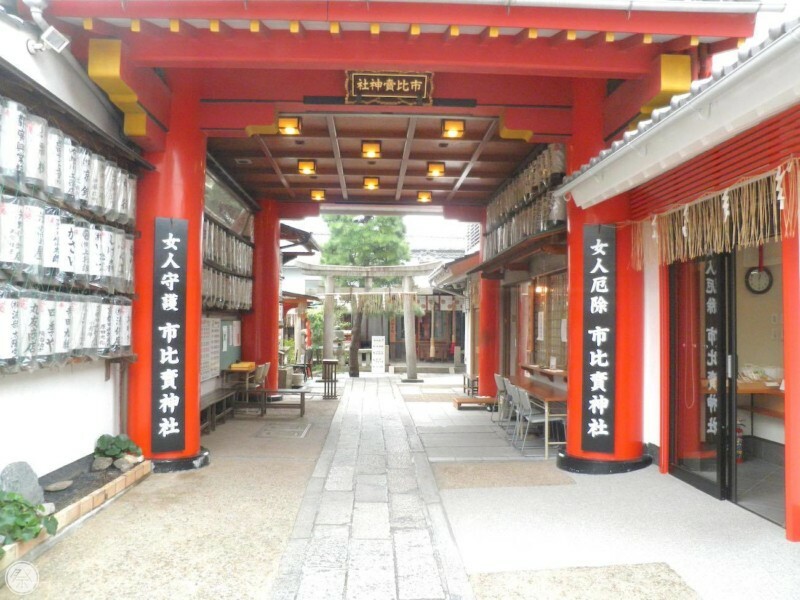 It is believed that the deities of this shrine are guardian "goddesses" that look over women from the fact that all of the deities here are depicted as female. 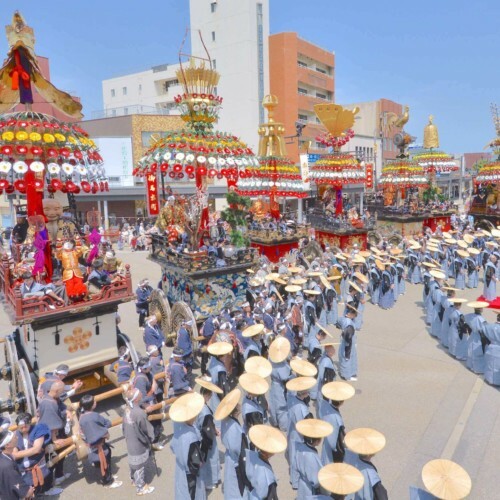 Women gather from all over the country to visit the shrine as it is famous for helping solve problems, granting wishes and ridding women of misfortunes and bad spirits. Other powers the shrine is said to possess includes match-making, child conception and safe birth. If any of these pertain to you, please pay the shrine a visit. Ichihime Shrine, First West turn at Kawaramachi-Gojo when heading South along Kamogawa River in Shimogyo Ward. Hitomachi Koryukan is right across the street from Ichihime Shrine. 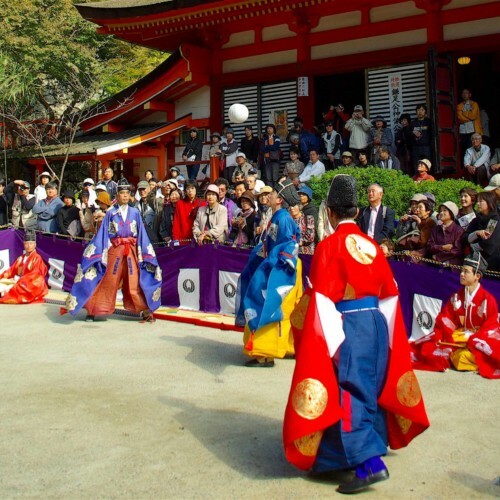 8min walk from Kiyomizu-Gojo Station. Cross the Kamogawa River on the Gojo-Ohashi Bridge, enter Kawaramachi-dori and head south. 3min walk from Kawaramachi-Gojo Bus Stop. Walk South along Kawaramachi-dori.